And you, how do you like your Mojito? Its rich history since 1120. The Château de Vault-de-Lugny retraces the History of France and particularly that of the region of Bourgogne through the centuries since 1120. Passing through the impressive fortifications from the XIIIth Century to enter the hotel ensures a romantic, relaxing and discrete stay far from the madding crowd. The Château invites you to a peaceful promenade and discovery in its 100-acres fenced park, its original dungeon, a classified Historical Monument from the XIVth Century and amazing sycamore from 1614. To also be discovered: the water moats, the 1srt category Cousin river, the Château’s farm, the refuge for animals living freely and the organic vegetable garden and its truffle plantation. The 15-rooms & 2 suite hotel and its gourmet restaurant opened from Apr 4 to Nov 11, 2019 welcome you in the heart of the Bourgogne region at the entrance to the Nature Park of Morvan. The easy 10 mn access by car from the A6 motorway makes the hotel a central point from which to tour and discover the Bourgogne region. Wine lovers will not resist the discovery of the Grand Crus of Chablis, Beaune et Côtes de Nuits (Corton-Charlemagne, Montrachet, Romanée-Conti ) as well as the nearby local wines from Irancy and Vézelay. 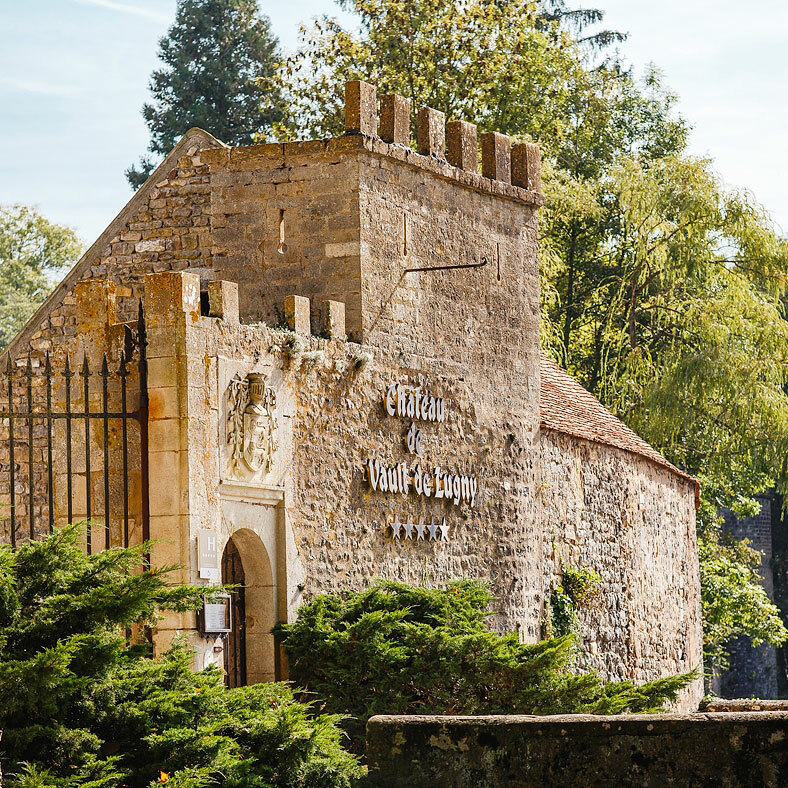 The Bourgogne region offers an exceptional cultural patrimony. The Vezelay basilica, the Fontenay abbey are both part of the UNESCO world heritage sites. The Chateau of Bazoches, the Chateau of Chastellux Medieval & picturesque village of Noyers are also little gem to discover in the area.